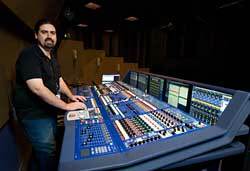 In this fourth episode of Sound Design Live I talk to Pierre Dupree, the audio supervisor at The Alley Theatre in Houston, TX, about where to go to graduate school, the dying art of theatrical acting, and how they successfully mic their 800 seat theatre with floor mics. Sorry about the sound quality, this is my first interview using Skype! Out Of Ideas? Just Add Reverb!